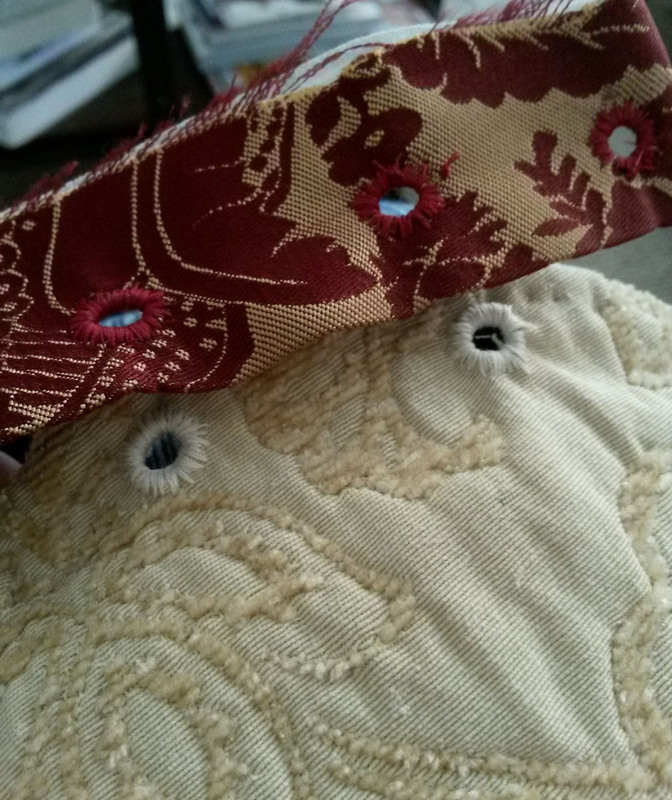 In which eyelets and buttonholes are the devil, but we persevere. It’s been a busy two months, and I’ve definitely been all over the place. I feel like I have a lot to sum up, so forgive me if this post is less coherent than usual. 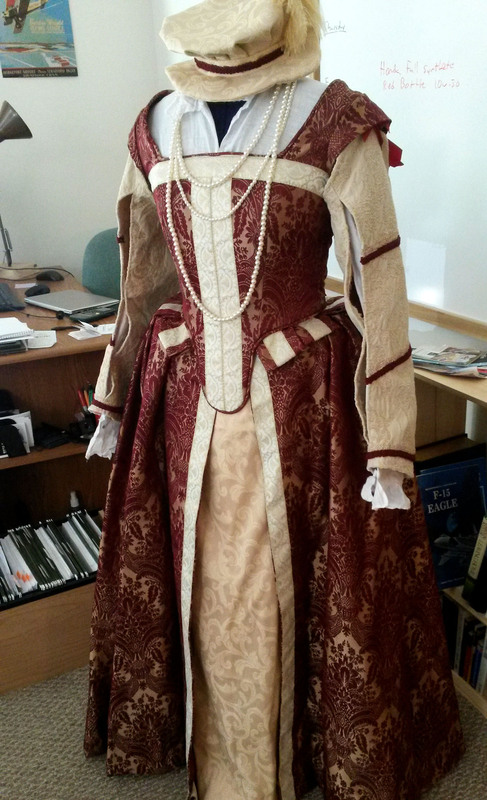 Firstly, I did finish the sleeves on my Renaissance Faire gown. 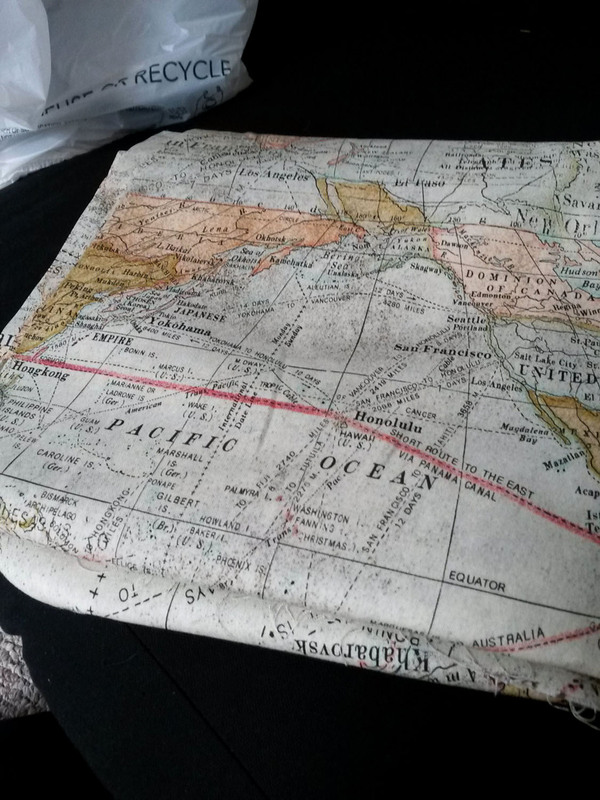 There were yet more eyelets involved. I wanted to throw things. But I finished everything and it looked pretty, and then I got to wear it in the 85 degree weather, so I was happy, albeit slightly dead from the heat. 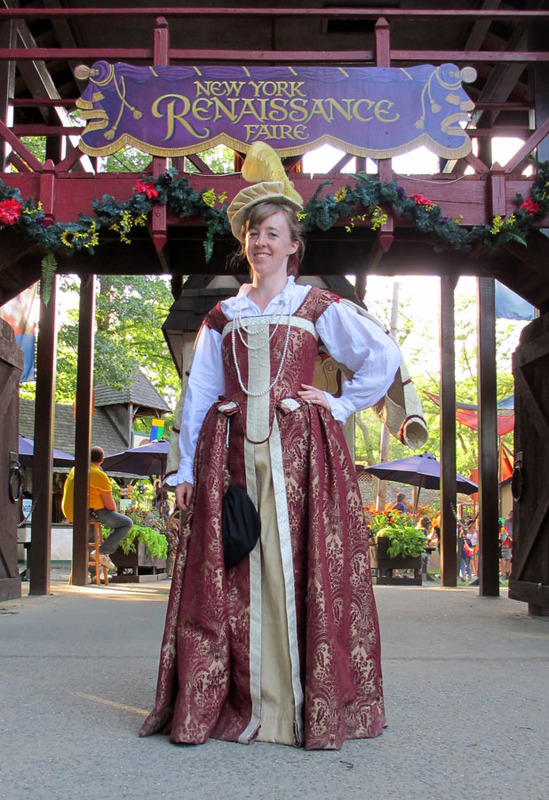 Once again I had people thinking I worked at the Faire. On the final weekend that I went with some friends I kept getting asked for directions while I stood outside shops with my tea while my friends looked at merchandise. It’s flattering in a so-good-you-fit-in kind of way. 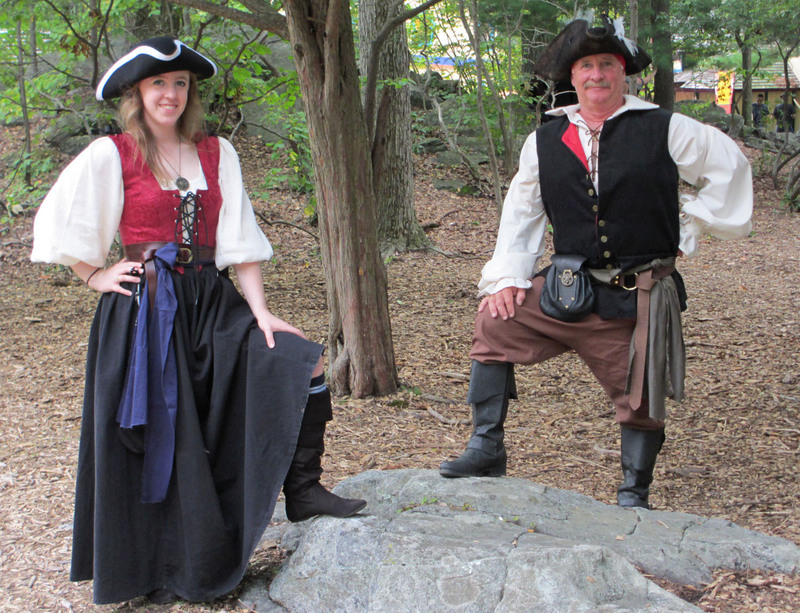 I also finished a pirate outfit for my dad, so I dressed up as a pirate with him for the Pirate themed weekend of the Faire. Looking at the photos, I feel like the fit of his outfit is off, though it’s not as obvious in person as it looks in the photos. 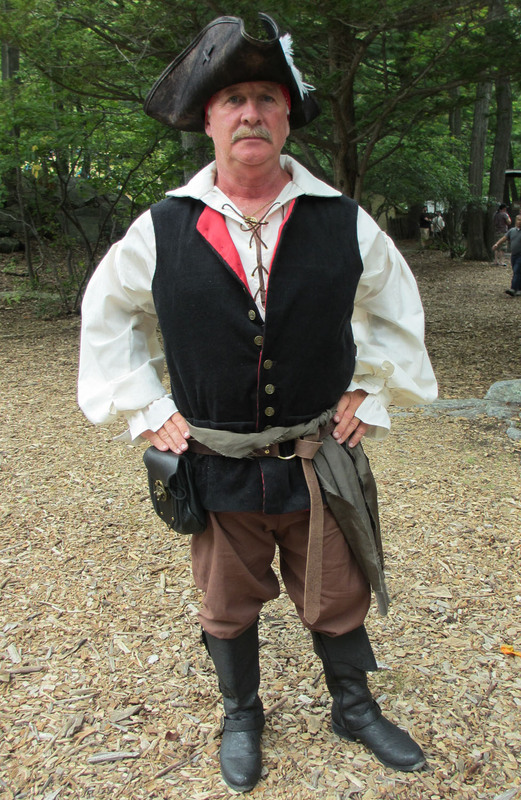 I used the Simplicity Jack Sparrow pattern, and the vest sizing was basically for someone the size of The Rock, and while my dad is barrel-chested, The Rock he is not, so I had to fiddle with the vest quite a bit. I obviously need to practice menswear some more. The vest also involved buttonholes. I once again wanted to throw things. He spent a good half an hour picking out this hat at the faire while I held his IPA and threatened to drink it on him. 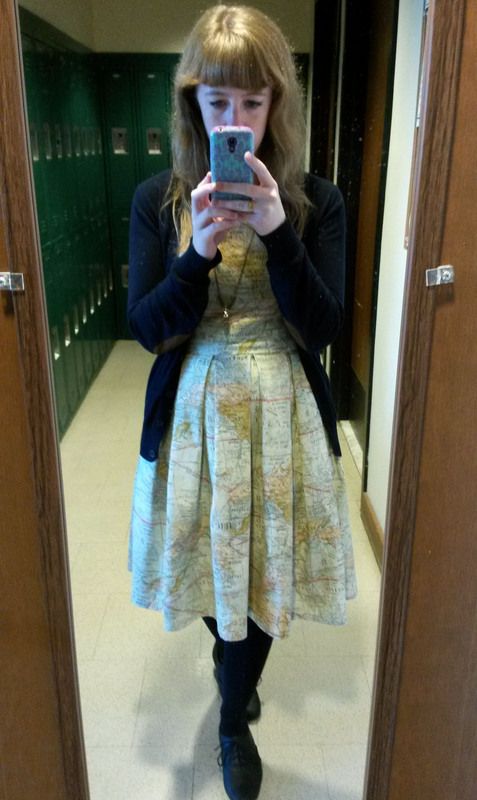 After I finished those two things that had been on my plate for a while I wanted to take a break and do some less-intense projects (with less eyelets and buttonholes) so I started out by making a new dress with this awesome map fabric that I stumbled upon at JoAnn’s! 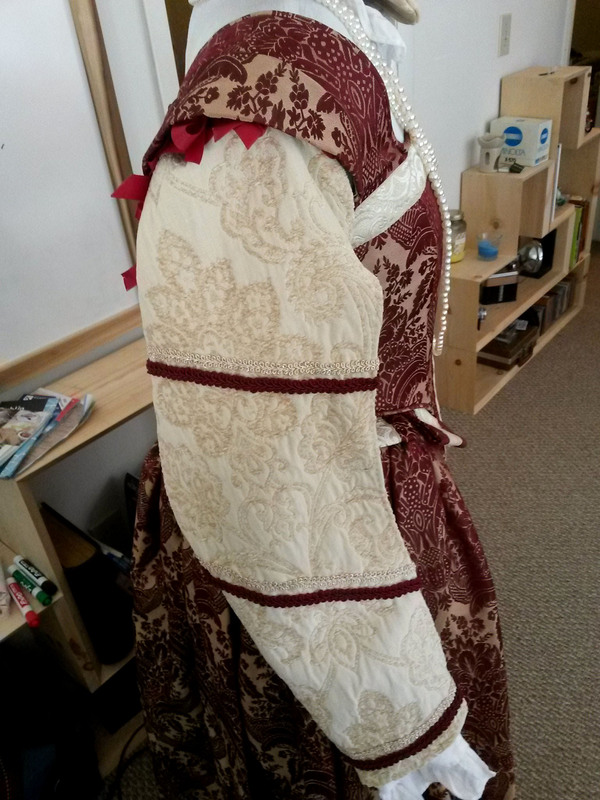 I also made a few ribbon cockades for some Faire people, and a sash to wear with an outfit for an alt-fashion conference this past weekend, but I didn’t get good photos of those. 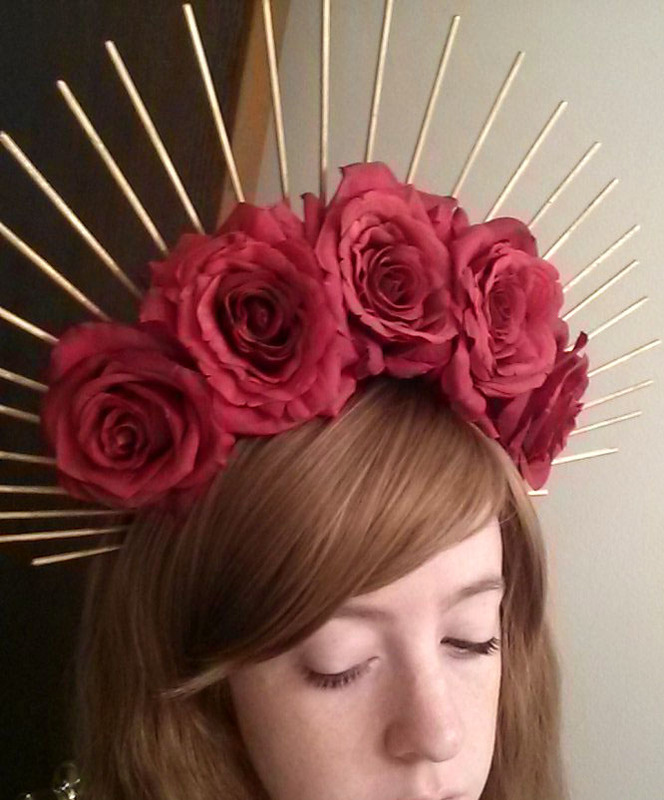 The other project I completed was a headdress inspired by medieval icon paintings, and ones that I’ve seen on the runway. 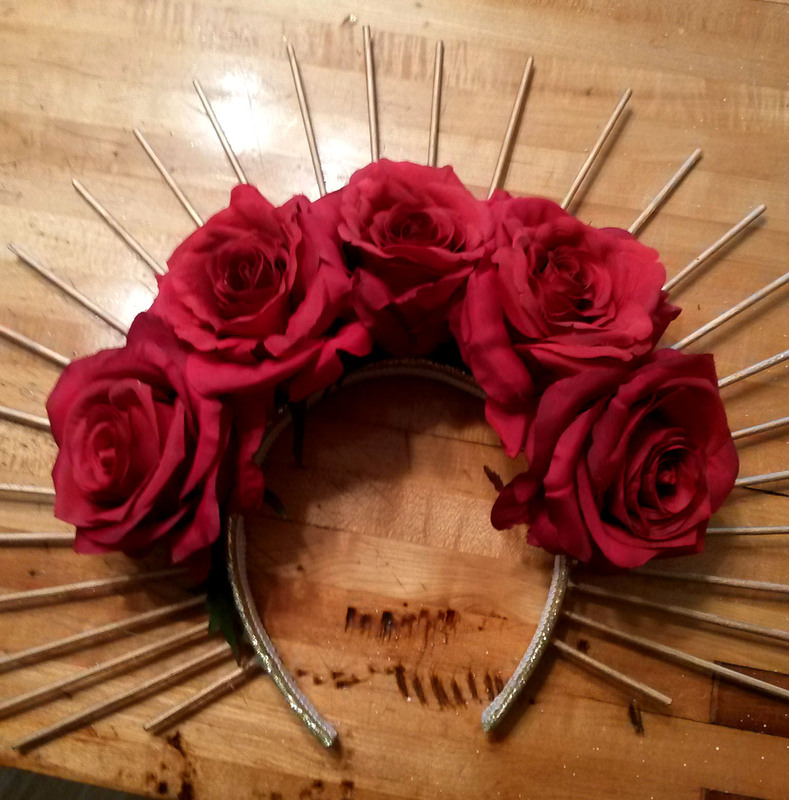 I made this out of a headband, some wooden dowels, gold spray paint, fake flowers, and lots of hot glue. Turns out I wasn’t the only one who wanted one of these saintly crowns, because I saw at least two other people at the conference with similar headdresses. They must be in this season. I think that’s most of what’s been going on for the past two months. It’s probably going to be another two months before I post again, because I’m going away for a week in November, and of course the holidays are right after, but I usually get a lot of sewing done around the holidays since I’m off work, so hopefully afterwards I’ll have something good to post! I hope to keep it to one project per post in the future. 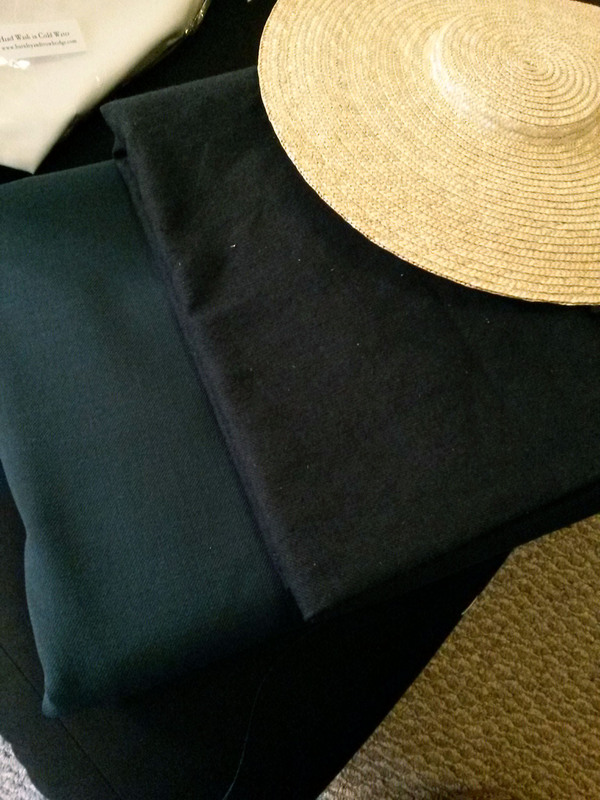 For now I leave you with a photo of some of the supplies I picked up at the Rev War reenactment back in August. Can’t wait to play with these soon!